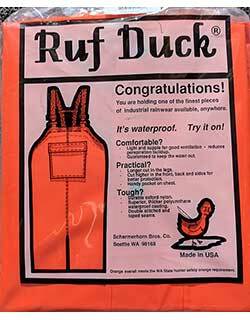 Ruf Duck Rain Gear is made in the Northwest, where people know rain. 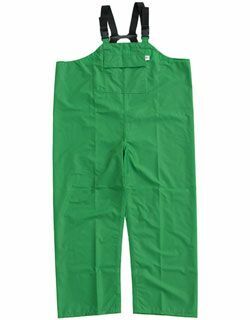 Designed by a retired logger, these garments are durable, lightweight and functional, suitable for the toughest outdoor environments. 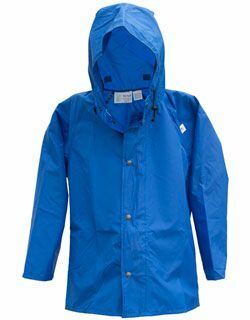 Over the past 20 years, Ruf Duck has developed a following with dairymen, commercial fishermen and others who need practical rain gear. The fabric is made on the East Coast to Ruf Duck's specifications. 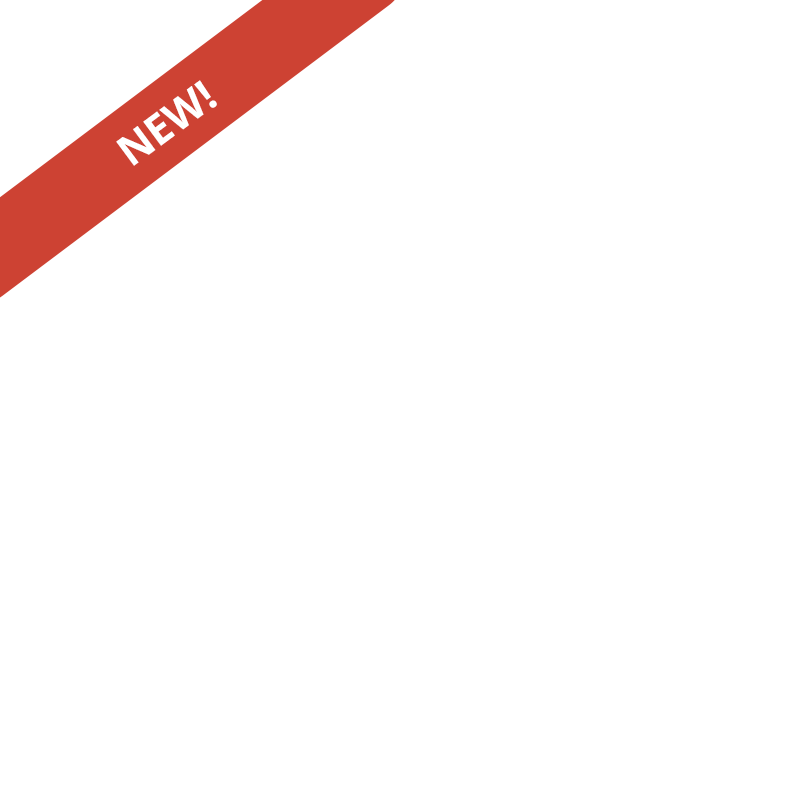 Flame-resistant oxford nylon, 200 denier, was chosen because it is stronger than conventional weaves and lightweight. 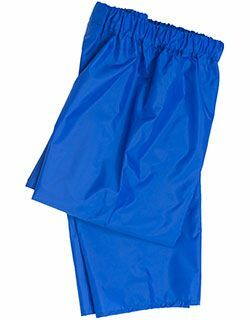 The nylon fabric is coated with a proprietary polyurethane waterproof film. The waterproofing is on the inside, protected from wear. The seams are double-stitched and reinforced in the back with extra vinyl to prevent leakage through the seams. 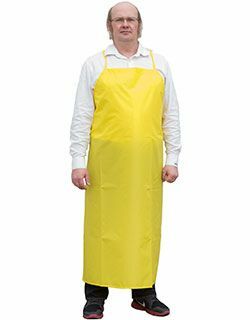 The design of the garment acts like a bellow, circulating out perspiration laden air as you walk and work. 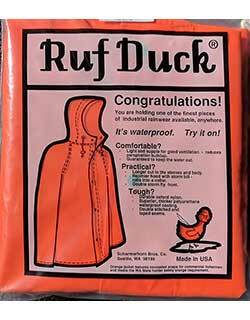 The Ruf Duck Rain Gear is 100% waterproof. For more information on choosing the right size for your Ruf Duck garment, please read our Ruf Duck Sizing Information.